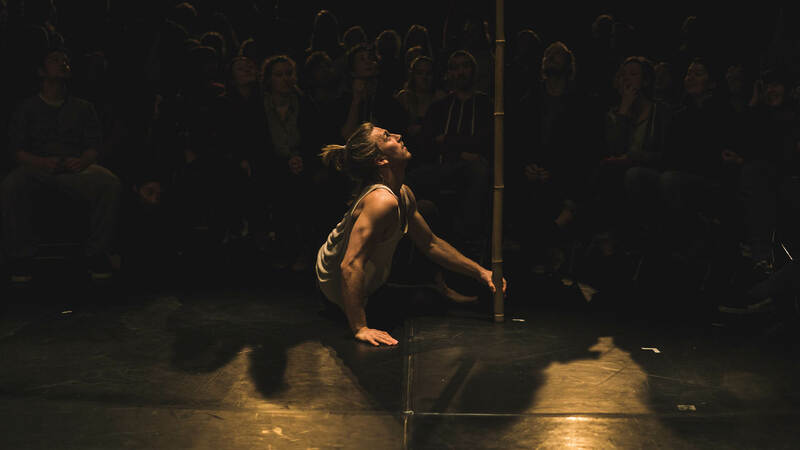 This project seeks to abandon the fine line of bodily tension that we perceive as ideal for movement. 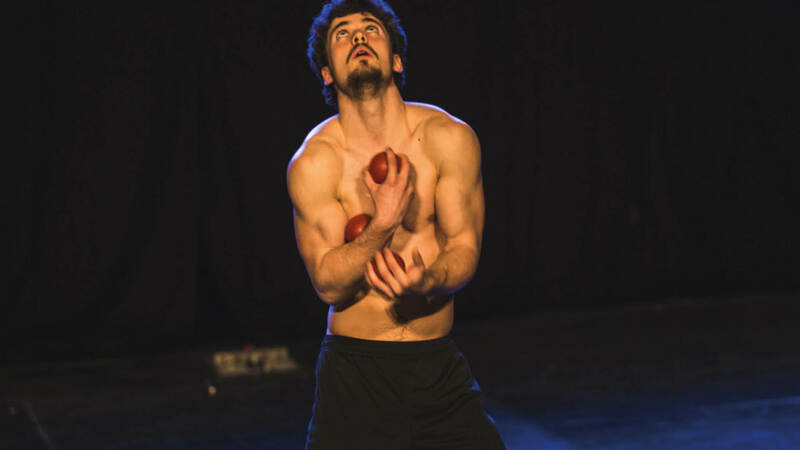 Whilst stretching from completely loose and with little control, passing through that sweet spot where juggling and moving becomes effortless all the way beyond jagged and contracted movement, I juggle and play with the possibilities each level gives me. The music plays with the idea that rhythm and pitch are the same thing at different scales. An accelerating drumbeat at 1200 bmp becomes a base note at 20Hz. In between there is a range of chaos. What way to move is right, what is wrong and what lies beyond that?